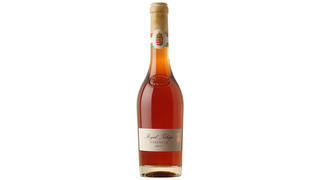 Sweet wines and digestifs come into their own at Christmas and there are all manner of opportunities at which to drink them. There is the classic combination of Sauternes with a foie gras starter; the unctuously, gloopily sweet Pedro Ximénez sherry with mince pies or plum pudding; the candied-orange-peel-sweet Tokaji with cheese. And how about a mid-morning Malmsey Madeira, a ruminative post-prandial port or a fine cognac or Islay whisky with your cigar? 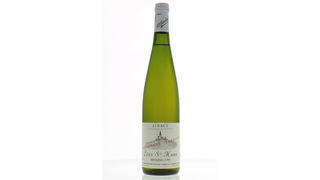 I have had some stunning icewines from Canada recently and some absurdly moreish Vendanges Tardives from Alsace. And as for digestifs, there’s no better way of coping with the festive feast than with a large glass of Mentzendorff Kümmel. There is so much to enjoy. The following, though, are my current pick of what any self-respecting host should have on board. 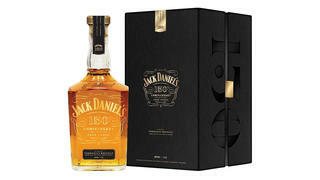 Specially created to commemorate the 150th anniversary of Jack Daniel’s distillery in Lynchburg, Tennessee, this is a sipping whiskey of real style. Matured in “slow toasted” barrels and bottled at 100 proof, it’s rich, smooth, complex and full of toffee and candied fruit flavours. A remarkable, exceptionally rare wine that can take up to 10 years to ferment to barely 2% vol. It is so mouth-fillingly rich and marmaladey sweet and so sensuously viscous that aficionados like to sup it from a small crystal spoon. Only 300 bottles of this port have been produced, drawn from three barrels of 120-year-old wines laid down at Quinta da Manoella in the Douro Valley. Presented in a globe-shaped decanter, it’s a spectacular port to linger over and savour. The Trimbach family’s tiny vineyard in Alsace is one of the finest spots in the world for Riesling. Made only in exceptional years in minuscule quantities, the Vendanges Tardives is intense and luscious. I’d choose this over Yquem any day. 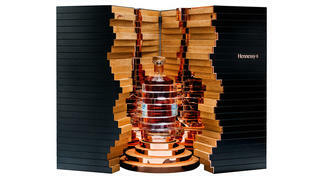 An astonishing cognac blended from eight eaux de vie to honour the eight generations of the Fillioux family who have served as Hennessy’s Master Blenders. Only 250 signed and numbered hand-blown Baccarat crystal carafes have been released of this exceptionally pure and precise cognac.